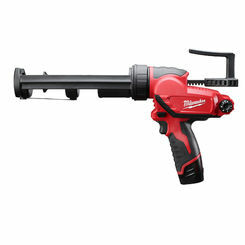 When you need grease and caulk guns, PlumbersStock offers great pricing on all of our specialty power tools. 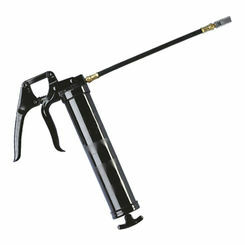 The electric caulk gun applies adhesive bonding agents and a grease gun applies lubricant. 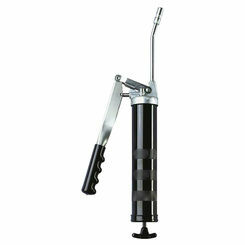 We also carry replacement caulk and grease gun parts. 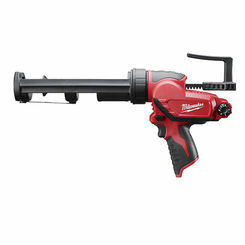 With discount options on both Milwaukee grease and caulk guns, PlumbersStock is certain to have the best deal for you from this quality brand. 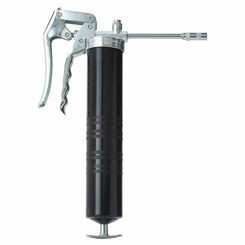 A grease gun is used to apply grease or lubricant. 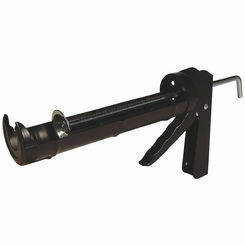 The main purpose of a grease gun is to lubricate moving parts, to give them a smooth, slippery surface. 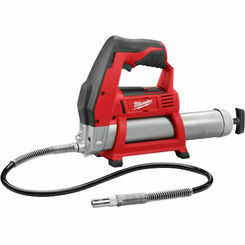 Grease guns may be hand-powered or electric-powered, but here at PlumbersStock we offer Milwaukee heavy-duty electric grease guns with variable speeds and a 48 inch flex hose with spring guard. 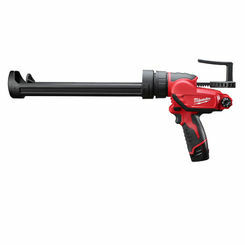 In addition, our Milwaukee grease guns allow a max flow rate of 10 oz./minute and RedLithium batteries for longer life during the job. 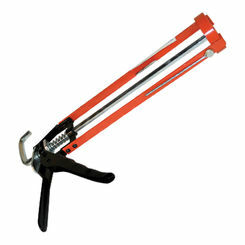 A caulking gun is used to apply caulk for sealing fixtures, mostly. 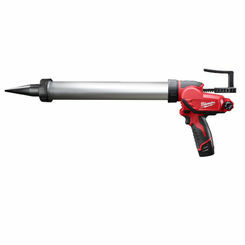 An electric caulk gun offers many advantages. 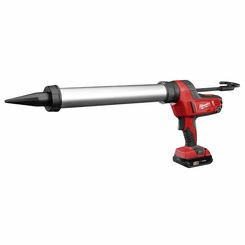 For instance, power caulk guns help better regulate how much caulk is released by featuring variable speeds. 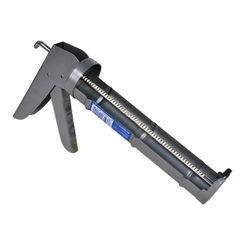 Since caulk may come in several viscosities, many power caulk guns are also designed to handle over 500 lbs. of push force. 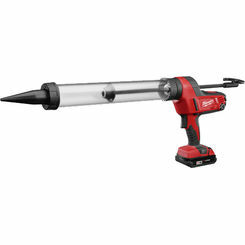 Electric caulk guns may also come with puncture tools needed to break the seal on caulk tubes and manual plunger rods with hook ends to allow you to quickly change out tubes for fast, on-the-go jobs. 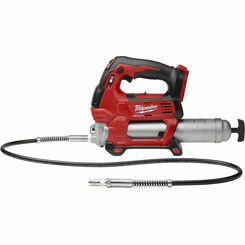 You can’t really get a sense of how convenient and versatile an electric caulk gun is without first understanding what caulk is. Caulk is a material that’s usually silicone or latex-based and used to seal and repair gaps and cracks around your home, as well as prevent future damage. 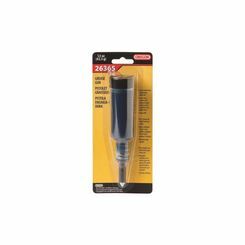 Caulk is an important tool to have around the house since it can be used to bond a wide variety of different surfaces including wood, glass, metal, and ceramic. Caulk has a few different advantages over other bonding substances, one such advantage being it can easily be reapplied when it begins to wear. 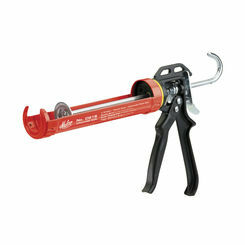 There are a few different kinds of caulk, including caulk for indoor, outdoor, wet, or dry projects. 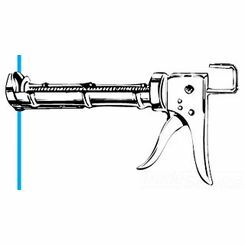 To help you figure out what kind of caulk you need for your electric caulk gun, here are a few of the more commonly used caulk types and some of the jobs they’re capable of around your home. 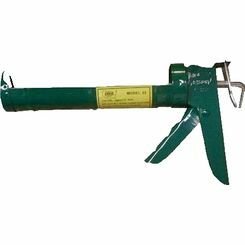 Acrylic Latex – This type of caulk is good for indoor and outdoor use. 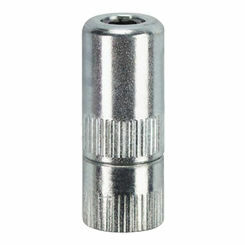 It’s commonly used to fill in gaps in moldings and baseboards, as well as around door and window frames. This kind of caulk is quick drying and can be painted after 6-8 hours of application. After application, it remains flexible and lasts for 10-15 years. Vinyl Latex – This kind of caulk can be used inside and outside the home. It’s perfect for small gaps around windows and doors and can also be used in tubs and showers because it’s moisture-resistant. This kind of caulk hardens over time and lasts an average of 5 years. Siliconized Acrylic – One of the most durable and waterproof caulks, this is good for interior and exterior projects and is best used for tubs, tile, glass, and ceramic tile. Remains flexible after applications and lasts for 25 years. 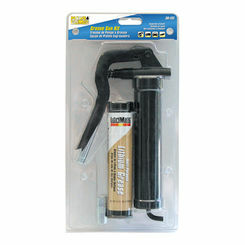 100% Silicone – This kind of caulk is perfect for all tubs and showers and best used in high-moisture areas. It’s mold and mildew resistant and adheres to glass, metal, and ceramic tile surfaces but not wood. Cannot be painted. 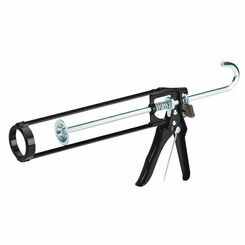 Painter’s Caulk – This caulk is used to fill in holes and cracks before painting. It can be used in corners to provide a smooth transition where painters will use contrasting colors. 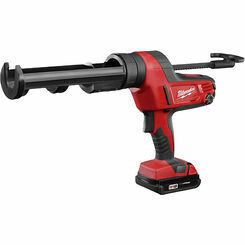 Applies smoothly and works well on wood, plaster, drywall, and masonry. Can be painted after an hour of application. Find out for yourself why so many choose PlumbersStock. 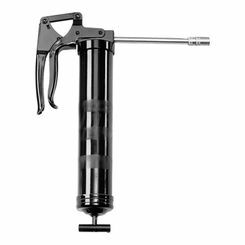 We offer the best prices on the web for caulking guns and electric grease guns, so shop and save with the online hardware experts. 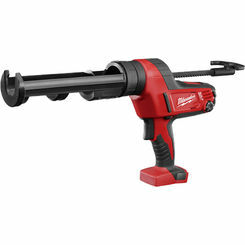 Shop here for the best savings on tools online.